For an amazing holiday, come to the La Sirène holiday park in the Pyrenées Orientales. Located just 900m from the beach, 22km from the town of Perpignan and 13km from Collioure. Discover a magnificent site located between the sea and the mountains. Your little ones will love the play area or the many activities aimed specifically at their age group. They'll love the games, the 2 rope swings, 2 trampolines and the rope course. With its tropical theme, the 11 000m² waterpark is perfect for swimming, relaxing and having fun. Make the most of the slides, the jets and water games… you’ll see, it’s fantastic! 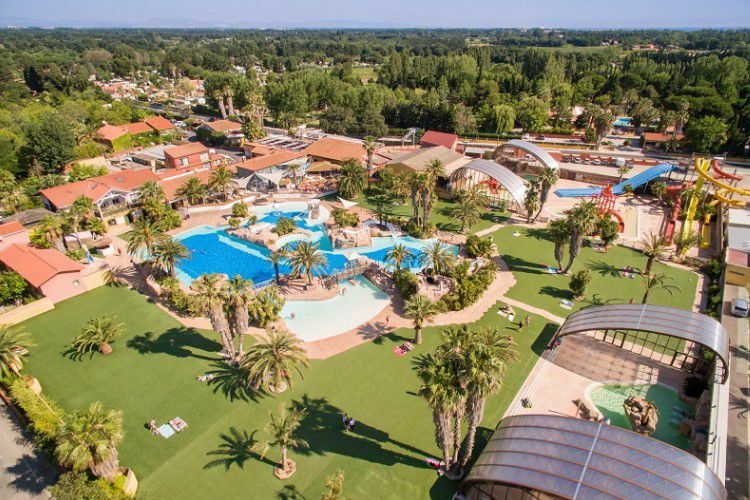 For your comfort, the Sirène campsite has a large grassy beach area surrounding the pool. The whole family can enjoy activities such as : tennis, archery, table tennis or even volley-ball. Many nearby attractions can also be discovered like fishing, golf or sailing. Off-site, go visit the fishing villages, the town of Collioure with its old traditional houses, its cobbled streets and its church. On-site, make the most of the campsites services and facilities, for example, the bar, grocery store, WIFI access and so much more. Argelès-sur-Mer train station (4 km). 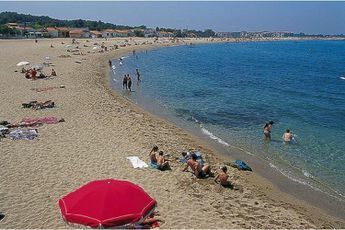 Nearest town : Argelès-sur-Mer (4 km). Don't miss out on the sun this year; choose a camping holiday beside the sea in the region of Languedoc-Roussillon. 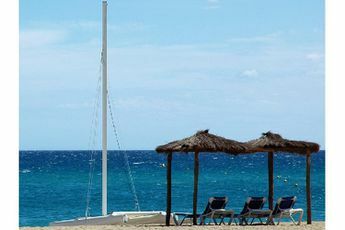 It's in Argelès-sur-Mer, a famous seaside resort in the department of Pyrénées-Orientales, that the last link in the Pyrenees chain of mountains juts into the Mediterranean Sea. 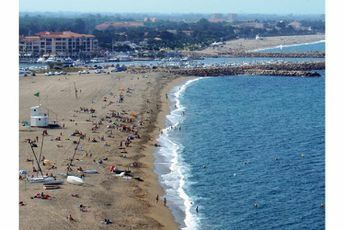 Situated on the "Côte Vermeille" ("Vermillion Coast"), which extends to the Spanish border, the beaches of Argelès-sur-Mer stretch over 7 km. Déferlantes festival (Argelès-sur-mer) - July. Photojournalisme Visa pour l'image festival (Perpignan) - September.